Stuffy nose? Use steam for relief. You don’t need a fancy humidifier to ease congestion (though it can be convenient!). Slowly breathing in steam from a pot of boiling water can work wonders! Just make sure to be very careful — you don’t want to burn your nose! Incorporate lots of cinnamon, nutmeg, rosemary, cloves, pepper and ginger into your sick-day diet. Spices are natural ways to help boost your immune system and fight off viruses and diseases. Some other ingredients to include? Garlic, honey and coconut oil. 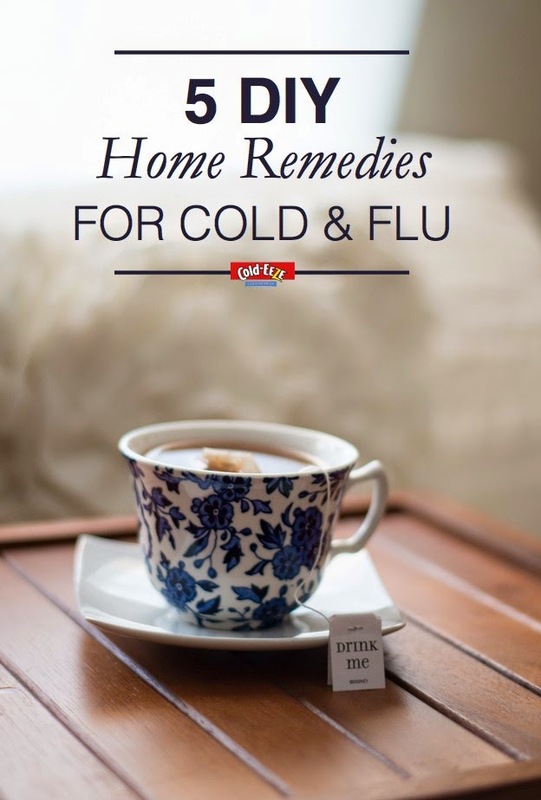 Check out some more natural cold medicine. A nice hot bowl of chicken noodle soup might be just what you need to fight off that virus. It’s a delicious home remedy that’s medically backed to help ease cold symptoms. Check out some of our Cold-EEZE Cold Remedy-approved tasty recipes by visiting us on Pinterest, and make sure to include plenty of veggies! Make your own nasal spray. It’s easy and takes a matter of minutes! Simply mix 3 teaspoons of iodide-free salt and 1 teaspoon of baking soda and then add 1 teaspoon of the mixture to 8 ounces of warm boiled water to create your own nasal spray solution. Use a bulb syringe to gently squirt the mixture into each of your nostrils, while holding the other one closed, and letting them drain. This will help clear nasal congestion as well as remove virus particles and bacteria! And of course, drink plenty of fluids. It’s so important to stay hydrated, especially when you’re sick. By drinking plenty of fluids regularly, you can help break up congestion and ease a sore throat. Some great options include water, herbal teas, natural juices (no sugar!) and ginger ale. Also be sure to check out some of our favorite healthy hydration recipes. Thank you Cold-EEZE for providing this valuable information.